Konverentsi avab PPA peadirektor Elmar Vaher. 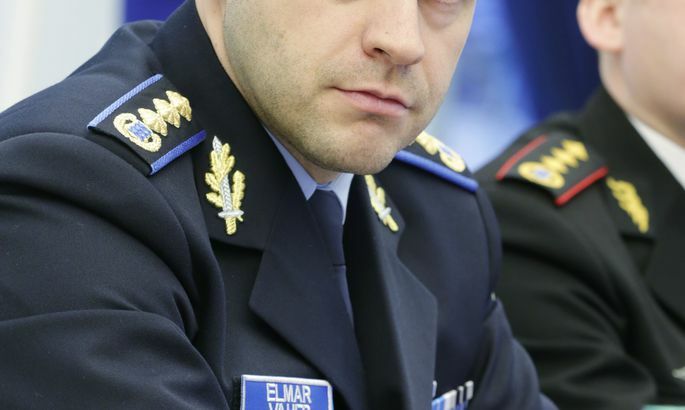 By year’s end, Police and Border Guard Board (PBGB) director-general Elmar Vaher will lay off half of his deputies. Mr Vaher has launched major restructuring of PBGB. To find money for raising salaries, he is cutting hundreds of jobs. Yesterday morning, however, came a bombshell: among others, several of his own deputies will have to go. In half a year, only two deputy posts will remain – instead of the current five. Actually, the background to sacking top executives is broader than mere economy. From now on, management of PBGB will be more concentrated; the domains of the three remaining deputies will be larger than those of the current five. The largest domain will be that of procedure and police operations, to be headed by current North Prefecture criminal police chief Priit Pärkna. Mr Pärkna will be over criminal police and border guard technology – ships and aircraft. According to Mr Vaher, the task calls for a person with crisis management experience and skills in international communication. Having worked as head of criminal police, and for many years as operational manager at Northern Prefecture, Mr Pärkna possesses said skills. The second deputy director will be over headquarters i.e. the strategy. That will entail all development bureaus, moved into the main building this year. The post will go to Joosep Kaasik, currently responsible for law and order. The man is the «spiritual father» of bringing the development bureaus under one roof. The third deputy director will be Tauno Tuisk, up to now in charge of support services – a staff of about 600. Of these, the lay-offs will remove about 80. The high deputy director post will be lost for Rando Kruusmaa (currently over border guards), Merike Jürilo (migration) and Indrek Tibar responsible for finances. Of the three, Mr Tibar is the only one currently enjoying a secure job – filling in for central criminal police chief Krista Aru who is on parental leave.